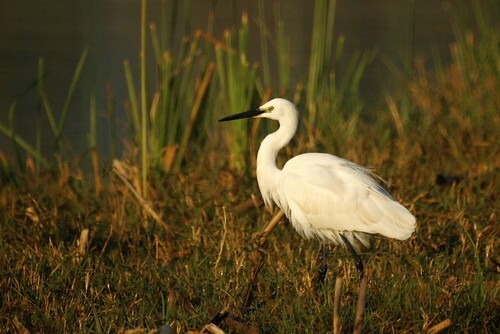 The Little Egret (Egretta garzetta) is a small Heron, about 25 inches tall. It has long legs and long neck and is all white in plumage color. It has a black beak in all seasons and is small in size. 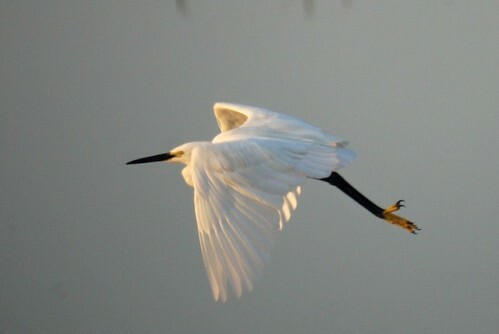 The black color of the beak is opposed to that found in the cattle egret and reef egrets, which never have black beaks. The former always has yellow and in the latter, it may be grey or white. 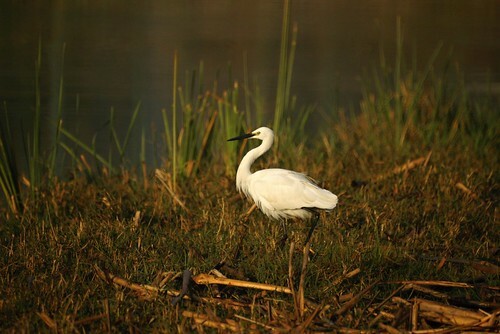 The intermediate egret and the great egret have black beaks only in the breeding season. It is otherwise yellow. In addition this species possesses long black legs but its feet are yellow. During the breeding season, breeding adults develop two long, slender nape plumes. 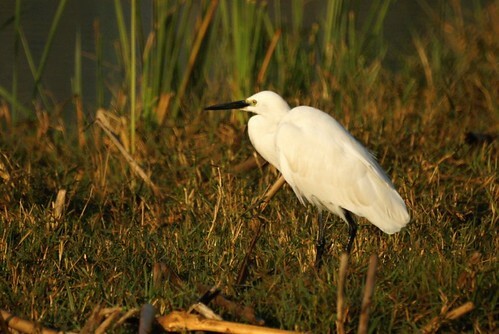 The subspecies Egretta grazetta grazetta which is found in India has a grey-green patch of skin between the bill and eyes. In breeding pairs this becomes a bright red or blue colour. 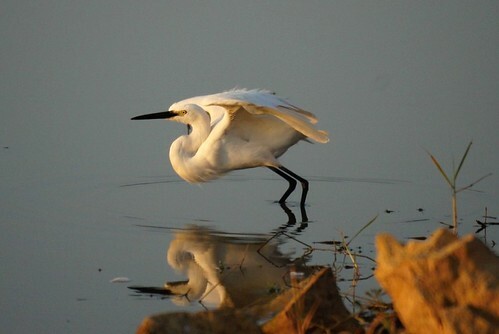 The little egret is generally found throughout India, around water bodies, often in small parties, wading around shallow water or in grass. It is thought to be dependent on sight for locating its prey and thus prefers clear water. It generally feeds on fish but takes insects, crustaceans and molluscs too. 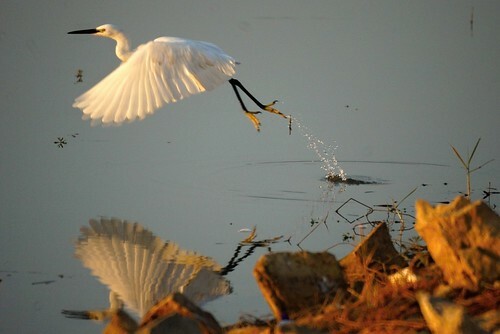 They are known to run within water with raised wings to dislodge fish from their hideouts. It breeds in groups on trees, usually in the company of other herons and ibises. Its breeding season varies from July/august in northern India and December in south. Seen at Rachenalli lake, Jakkur, Bangalore on 3rd Feb on a foggy morning.